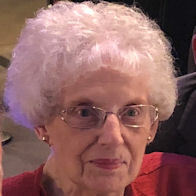 Elizabeth T. “Liz” Gargasz (nee Biber), 86, of Amherst Township, died Monday December 24, 2018 at Mercy New Life Hospice Center of St. Joseph in Lorain after a year-long battle with cancer. She was born October 13, 1932 in Lorain and had been a lifelong Lorain area resident. Elizabeth graduated from Lorain High School in June 1950. She worked at First Federal Savings in Lorain as a teller for 18 years and later worked for Elyria City Schools as an educational aid before retiring in July of 1998. She was a member of St. Joseph Catholic Church in Amherst, a member of the former St Stanislaus Catholic Church in Lorain where she volunteered at the Sunday Pre-School, Vacation Bible School and other church activities. She also volunteered her time for the Literacy Program at the Elyria Public Library. She was a member of the Knights of St. John Women’s Drill Team of Lorain, the St. Elizabeth Society and the Polish National Alliance. Elizabeth cherished spending time with her family, grandchildren and friends. She enjoyed reading, word search puzzle books, scratch-off lottery tickets and listening to polka music. She was an avid Cleveland Cavaliers fan. She is survived by her children: David Gargasz (Nancy) of Amherst, Joseph F. Gargasz (Elizabeth Messick) of Atlanta, Georgia and Bethann Morey (Rob) of Marysville; stepchildren: Thomas Gargasz, Anthony Gargasz, Cynthia Swartz and Theresa Murray; grandchildren: Nathan Morey, Lilian Gargasz, Gabriel Gargasz, Meghan Morey, Evan Gargasz, Owen Morey and Joseph Morey, numerous step grandchildren and great grandchildren and several nieces and nephews. She was preceded in death by her husband of 39 years Eugene P. Gargasz on February 7, 2009, parents Joseph & Karoline Biber (nee Bryja), brothers: John, Frank, Joseph, Paul & Michael Biber and sisters: Helen Pochurek and Mildred Royal.